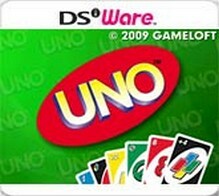 UNO on DSiWare was last confirmed to be available on March 8th, 2014 on Nintendo.com. By the next Archive.org capture on October 9th the same page no longer displayed a price. Although the design of Nintendo’s site had changed in that time many DSiWare titles still displayed prices leading to the assumption the game was delisted between those two dates. “Get ready to call “UNO” on your system! The game features exciting new rules and a thrilling online multiplayer mode.